Looking for a job or support services? 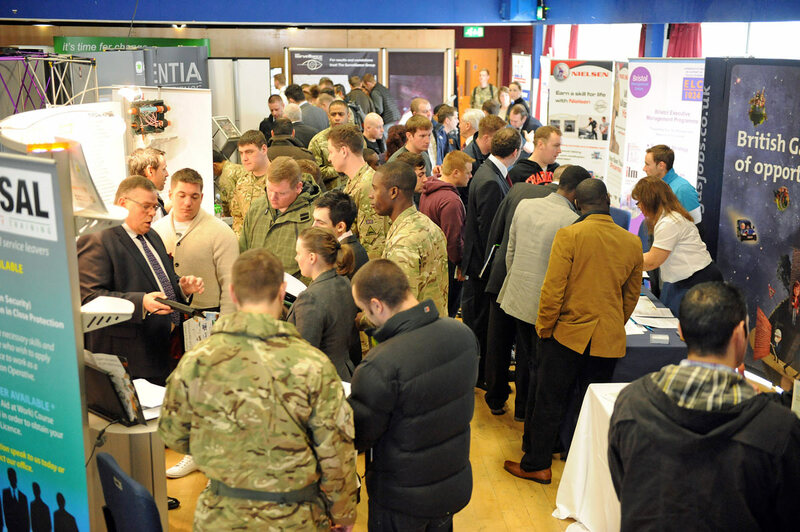 The Tidworth Career Fair, hosted by British Forces Resettlement Services, could be the place to find it. It’s for families too so come along from 10.30am to 3.30pm on Thursday 19 September at Tidworth Leisure Centre in Wiltshire – it’s free to attend. BFRS events have attracted more than 1,000 past and present Service personnel from the Tidworth area seeking employment opportunities and advice on their transition to Civvy Street. It will feature many exhibition stands from some of the country’s biggest employers, franchises and training providers, all eager to meet and discuss opportunities with members of the British Armed Forces community. If your soldier is ex-Armed Forces, or still in the process of leaving the Forces, and is interested in finding what opportunities await on Civvy Street, simply arrive on the day or go to www.bfrss.org.uk for more information.